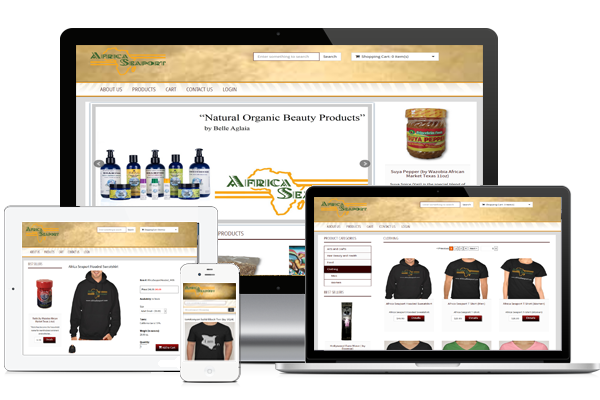 Shopping Cart Solutions Online Commerce that supports multiple vendors! With the ability to manage a wide variety of product types, this solution can handle everything from sizes, colors, custom attributes, or to even making changes to the weight. The cost can then change based on selected attributes that are custom built for each individual product added to the system. When the product is added to the cart, all the variations of the product that have been selected will drive what the base price and shipping costs will be. This allows for the greatest diversity in products types presented on a single website. With the addition of using category/subCategory assignments, featured product assignements, or best sellers, products can be grouped into various sections of the site and presented in just the way. Having a single page checkout process makes it much easier for the customer to provide the correct information without having to bounce through a multiple page process. Billing address, shipping address, and credit card information are all entered on a single page and then verified on next step. If anything is found to be incorrect, the user is asked to fix the information and then proceed with the checkout. Very simple and easy to understand, making the checkout process that much more efficient. If anything with the billing address or shipping locations prove to be a problem, notifications are presented before placing the order making the system more efficient than most carts because simple typos in address information can be fixed prior to the order being placed. 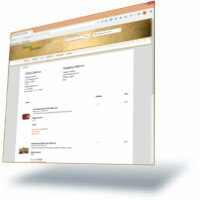 A customer can view their Orders after logging in on the front end of the site. In addition to seeing a copy of all the orders placed by the customer, details related to the status of the order and tracking numbers related to shipping schedule are assigned to each specific product in the order. This is because not every product from the order originates from the same vendor. Each product must have shipping and taxes calculated individually or within the vendor grouping. The vendor of individual products has the ability to manage the tracking numbers and individual order notifications using the back end tools. Each vendor will have their own login to gain access to these management area. In addition, a main vendor also has access to manage the orders and shipping notifications on the vendor's behalf. 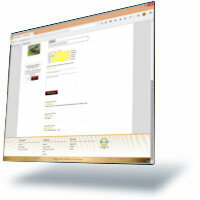 All customers will have the ability to create product reviews for an individual product after logging into the site. All reviews are sent to the staff of the site to approve or remove. Once a review has been approved, it will appear on the product detail page of that specific product. In addtion to the individual review, statistics of reviews about that product are tallied and displayed based on number of reviews that product received. Customers can only review an individual product one time. 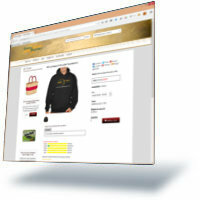 When orders are placed on the front end of the shopping cart, they are also saved within the back end system. We do not store credit card information, but we do store everything else related to the order, including the shipping cost and tax calculations. Each product that appears on the order has an individuial status associated to it with the ability to have an email sent to the customer and vendor to notify everyone of the status of the product on the order. This allows for the admin to also help in tracking and shipping of the products on the order. Having a responsive design on the shopping cart allows mobile and tablet users to browse products and place orders on these devices. So having responsive design on any site allows for better SEO within search engines, specifically Google. The responsive design is implemented using Bootstrap, and allows us to make individual items display on one device, while hiding the same element on another. This makes it so one code base works for every type of device, making updates much less costly than having multiple versions of the site for every type of device.